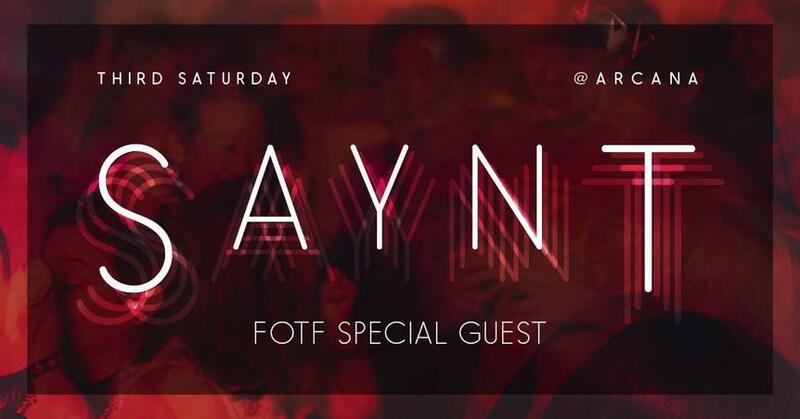 Four on The Floor welcomes longtime party producer and DJ, SAYNT, for a very special 40th birthday set with The Floor. Resident DJs 3ZKL, Strider, and thefacesblur will bookend SAYNT's special milestone set. Come dance to the best house and techno in Durham’s favorite underground cocktail lounge. The Floor — Gathering people around the transformative power of electronic-based music, amplifying the talents of local DJs, and eluding formal structures of control in order to spark uninhibited creativity. In true ninja fashion, SAYNT draws from diverse soundscapes to produce a singular outcome: A style that can’t be described, only felt. His unique style of House Music offers an eargasmic feast that is seasoned with all the flavors of the genre. Whether Poolside, or Peak Hour, SAYNT works to draw the crowd into an experience of pure a$$ shaking delight. Having been fortunate enough to appear on bills with many of the industry’s top names at festivals such as Burning Man, Coachella, and Lightning in A Bottle, as well as club nights across the Americas and Asia, SAYNT’s signature sound has rocked crowds from L.A. to Tokyo. Founder of L.A.’s Ninja Skillz Music Collective and the Liquid Jungle Experience, SAYNT has organized events for 2 decades on the West Coast and Mexico including co-creating the Fuente Eterno/Leyenda Eterna and Alma Paradiso Festivals. After spending a life-changing period of time living and DJing in Japan, SAYNT is currently a graduate student in Ethnomusicology where he studies global dance music culture. His commitment to music and culture defines his life and is evident in every beat the he produces or plays..